The 14th of October in 2017 Andrea Bocelli will come to Amsterdam and he will sing and enchant the audience in the Ziggodome. Are you gonna be among them? 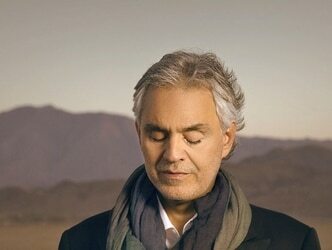 Andrea Bocelli will tour large parts of the world in 2017. He will not only visit Amsterdam, but he will also travel and perform in cities such as Linz, Graz, New York, Monte Carlo, Marbella, Bratislava, Budapest, Wien, Prague, München and Hannover. The Andrea Bocelli concert in Amsterdam on October 14th will start at 20.00, and if you want to be there at the event, then you can buy your tickets from Viagogo using the link beneath. There will be loads of other cools events taking place in Amsterdam as well this autumn, so look around in our Amsterdam Guide for more information on such events, or visit Viagogo and do a search for Amsterdam. You will then find a list of all sorts of concerts and events in Amsterdam for which you can buy tickets at the given website. We wish you a very pleasant stay in Amsterdam. If you want to find out more about the attractions in town, then we can recommend visiting our article on the most famous articles in Amsterdam. There you can read about the special sights in town. But, to be honest, Amsterdam is not that much about famous landmarks, but much rather about great museums and a fantastic atmosphere. You can read much more about those museums and activities here in our Amsterdam Guide as well. « Can I watch Netflix in Amsterdam? How does it work? What to stream?